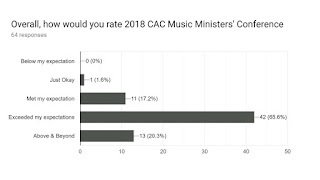 Participants who attended 2018 Music Ministers' Conference organized by Christ Apostolic Church Worldwide have rated the annual music fiesta high, saying it exceeded their expectations. 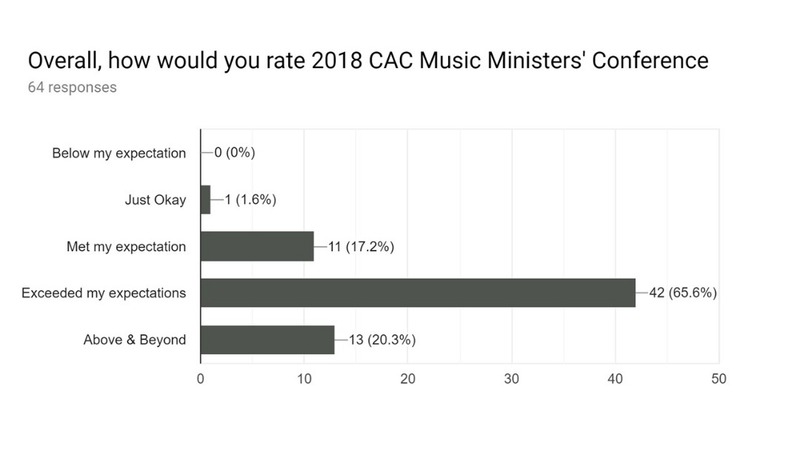 According to a graphical illustration of responses of participants, the conference exceeded the expectation of 65.6 percent participants, while 17.2 percent said it met their expectations. Also, 20.3 percent says the conference was above and beyond their expectations, while 1.6 percent says the conference was okay. Meanwhile, registration is presently ongoing for 2019 Music Ministers' Conference organized by the Music Department of Christ Apostolic Church, Worldwide. The registration closes on Sunday June 30, 2019. 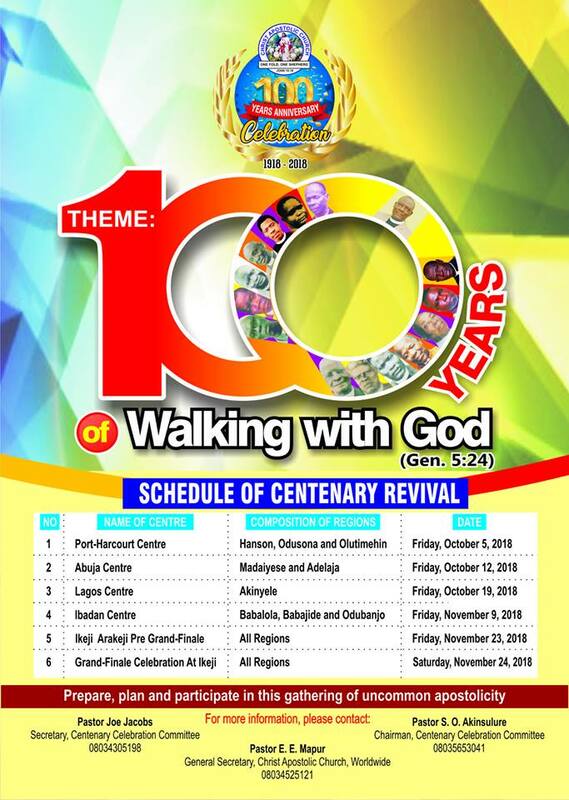 The online registration fee for the conference is N5,000 and N7,000 for cash registration at the venue. It must be noted that the N7000 registration fee is for those who prefer to register at the conference venue. 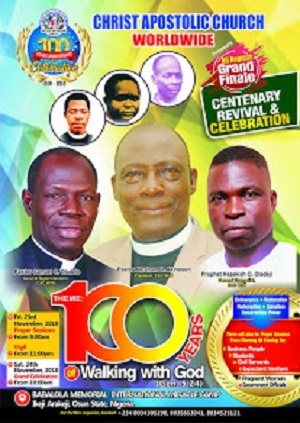 The theme of the conference which holds from 24th to 26th July, 2019 is "Christian Leadership and Effective Music Ministry." 3.Choose a Username, input your Surname and First name, input your email address and choose a password that will be easy for you to remember, then click on “Register” at the bottom of the page. 4.Once you’ve registered as a choir member, you can then login using your Username or email and the password you just created. 6.Enter your details, including your church address, name and phone number of your assembly pastor, your part, your t-shirt size and the music workshop you’ll like to attend, among other things. 7.At the bottom of the page, click “pay.” This takes you to the payment page. Choose your preferred payment option (preferably using your debit – ATM – cards) and confirm payment.